6 for $107.70 total Need more quantities? Broad, plum-red petals form a cup surrounding a center tuft of rosy staminodes highlighted in gold to create a striking combination on this Japanese-style Peony. Floriferous in midseason with sturdy stems, this lightly fragrant beauty is a memorable addition to gardens and vases. The glossy green foliage remains attractive until frost. We ship large roots with 3–5 eyes that are fresh from the growing fields. 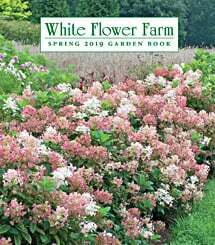 While a newly planted Peony seldom makes a first-class show in its first season, these vigorous plants will reach the top of their form in their second or third year. Southern gardeners should seek out our early bloomers and provide afternoon shade. Bare root. There isn't a more rewarding garden flower than the herbaceous Peony, and a garden without these plants is a sorry thing indeed. Peony flowers range from exquisitely delicate singles to large and lush doubles, and come in shades ranging from pure white to the deepest, darkest red. 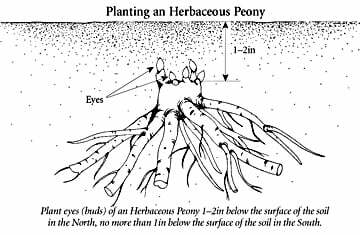 For more information on growing Paeonia, click on Growing Guide.